So, we made a tool that does just that! Say you’ve got a website selling cupcakes but your competitor always outranks you in the search results. It’s probably down to the superior links they got. 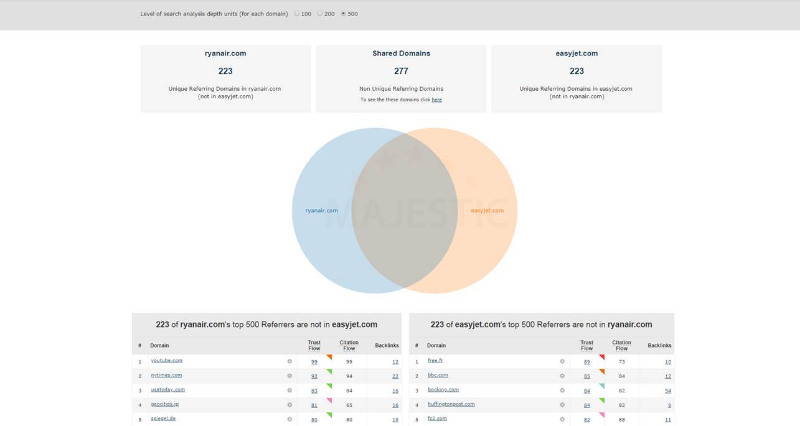 Well, this tool shows you the links your competitor has BUT you don’t have! Now you’re armed with a list of tasty links that you can go after! Add links from these domains and you’ll see your rankings rise. Cool! So how can I use it? You can then see instantly how many referring domains each domain has, as in this example of Ryanair.com and easyjet.com below. Out of a pool of 500 referring domains, Ryanair has 223, EasyJet has 223. All the domains are ranked by Trust Flow so the quality links appear at the top. 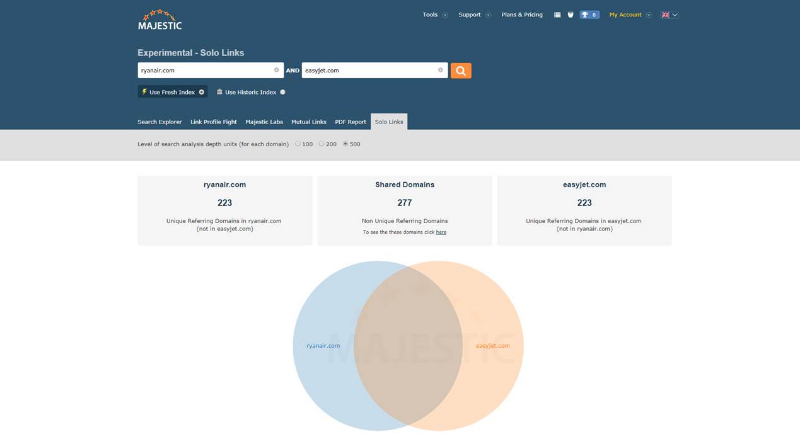 You can also see the overlap between the domains in picture format, with the domain having the most referring domains as a larger circle. The overlap here implies the domains which are common you can see what they are by clicking the here link in shared domains which take you to clique hunter. 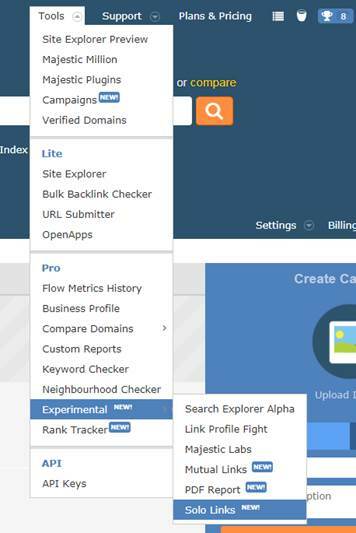 The tables above show the unique referring domains to each domain ranked by Trust Flow while also showing other information about that link such as Citation Flow, External Backlinks and Referring Domains that you can explore further. You can use it right away, but it’s still an experimental tool – so please do let us know what you think – and if you’ve any suggestions, we’d love to hear them! Feel free to contact us on support@majestic.com. Why is it limited to 500 ref domains ?